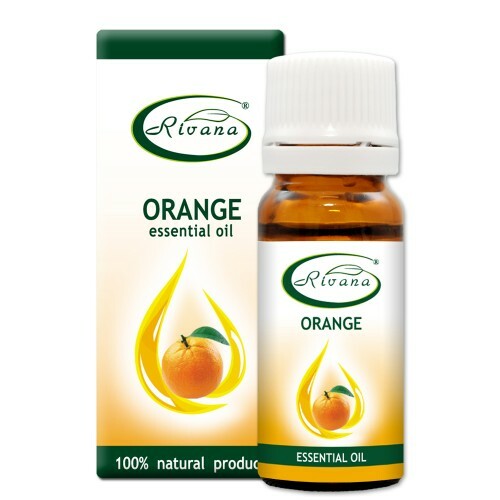 Home » Orange - Citrus sinensis oil - 100% essential oil. Ingredients: limonene, camphene, pinene, myrcene, citral, citronellol, and others. Main properties: calming, antidepressant, tonic, aphrodisiac, antiseptic, moisturizing, nourishing the skin, regenerating, enhancing mood, cellulite, cleaning, neutralize odors, insect repellent. Effects on body: removes cellulite and prevent stretch marks. Restores capricious skin, increases elasticity, promotes regeneration of skin cells and does wonders for aging skin, dry, cracked and rough skin, dilated capillaries, acne, fungus, in PMS, high blood pressure, nausea, headache, dizziness, palpitations, sore wreaths, flu, colds. It stimulates sexual desire; increases sexual warmth brings a feeling of euphoria. Deodorizes, neutralizes odors in rooms against insects and moths. Impact on the mind and spirit: its warming aroma compensates for the lack of light and warmth in winter months, which makes it very effective for winter depression, anxiety, fears, irritability and insomnia. Give with love, happiness and peace soul. Aromatic lamp: calming, mood-enhancing, neutralizing odors -8.10 drops of orange oil. Aroma Pendant: tonic, high blood pressure, flu – 1.2 drops of orange oil. Bath: For toning, cellulite and stretch marks when, aphrodisiac: 6.8 drops of orange oil. Sauna: antibacterial, in cold-10 drops of orange oil 500 ml. water. Massage: for cellulite, stretch marks, skin regeneration, runny nose – 50 ml. base oil / almond, avocado, apricot, grape seed / 25 drops of orange oil. Gargle: gingivitis-. 2.3 drops of orange oil in 10ml water. Enrichment of face creams: regeneration, acne, rough skin: 10 drops of orange oil in 25ml. cream. Ram Spray: for deodorizing, removing odors, and insect – 15-20 drops of orange in 250ml water, shake the bottle and spray the room. Contraindicated for people with individual intolerance to oranges.